Welcome to the Special Edition December issue of ABM In Action! 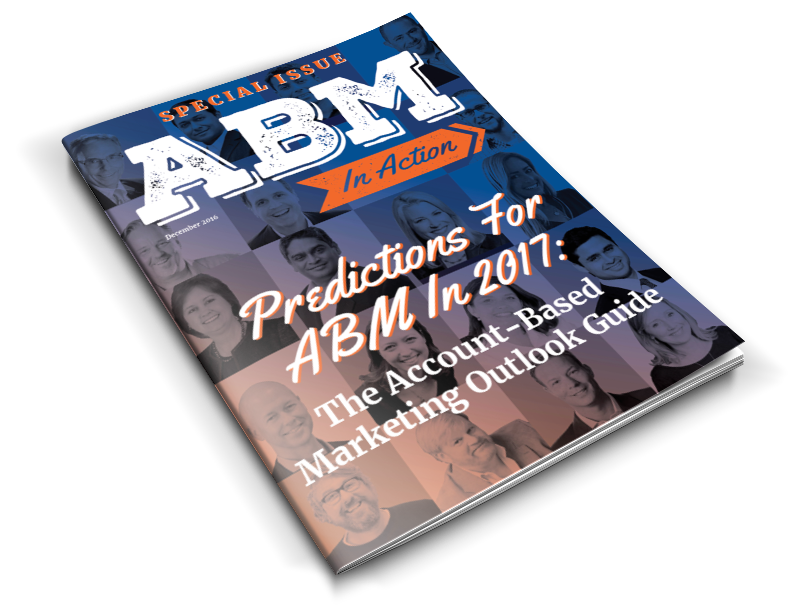 Each page spotlights an ABM expert who shared their insights to one specific question: What are your ABM predictions for 2017? Cari Baldwin of BlueBird Strategies on the growth of ABM advocacy. …and there’s plenty more where that came from! Check out the last issue of ABM In Action for 2016 now!